Amanda Abbiehl with her parents, Cindy and Brian. Amanda tragically died while hospitalized in 2010, and her parents believe a PCA pump was involved. When Amanda Abbiehl's parents kissed her goodnight on July 16, 2010, they never imagined it would be for the last time. She had been admitted to an Indiana hospital the day before with a painful case of strep throat. It ought to have been a fairly routine case. Instead, she died hours later. "We told her we'd see her in the morning, and we got a call later that night that she was in code blue," said Brian Abbiehl, Amanda's father. "We were in total disbelief. She was 18, and a strong, athletic girl." Amanda, from Granger, Ind. would have started college at Indiana University of South Bend in the fall. 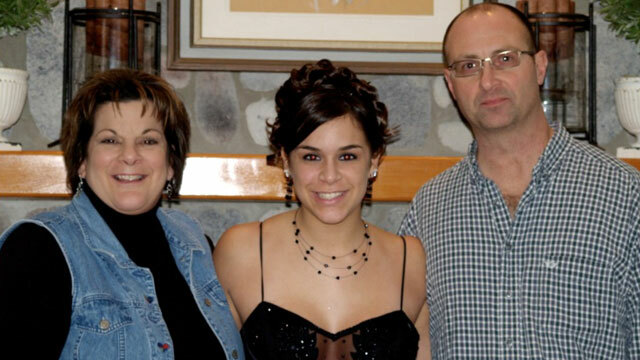 Now, two years after her death, Cindy and Brian Abbiehl are honoring their daughter by launching a foundation, Promise to Amanda, to raise awareness about the dangers of patient-controlled analgesia (PCA) pumps. A PCA pump is a device designed to deliver a certain dose of opioid pain medication intravenously, either continuously or intermittently. It also allows the patient to self-administer a set dose of pain medication by pushing a button. Amanda was receiving hydromorphone, an opioid pain medication, through a PCA pump when she died, and her parents believe it may have contributed to her death. "We left the hospital Friday and she was getting a lot of relief. We could tell when it really kicked in. She was smiling, and we were quite happy to see that," Abbiehl said. A legal settlement prohibits the Abbiehls from talking about the specific circumstances surrounding Amanda's death, and the family said it has not been officially determined what role, if any, the PCA pump played in Amanda's death or what the exact cause of death was. According to several specialists not affiliated with the Abbiehl case, the number of pump-related deaths is increasing. "The PCA pump is not in and of itself dangerous," said Dr. Matthew Weinger, a professor of anesthesiology, biomedical informatics, and medical education at Vanderbilt University School of Medicine. "The opioid medications are dangerous." "PCA is a very effective way to manage post-operative moderate to severe pain. We get better pain control and higher satisfaction with pain control than with nurse-administered pain medications," said Dr. Frank Overdyk, a professor of anesthesiology at the Hofstra North Shore-LIJ School of Medicine in Hempstead, N.Y. "But the most serious adverse event is an undetected respiratory depression, which causes you to breathe more slowly and accumulate carbon dioxide. Then you get sedated, and you can go into cardiopulmonary arrest." Overdyk is with a group called the Physician-Patient Alliance for Health & Safety. The group says between 2005 and 2009, more than 700 patient deaths and 56,000 adverse events have been linked to PCA pumps. One of the hazards of using PCA pumps, they say, is that there is inadequate monitoring of patient's levels of oxygen and carbon dioxide. Nursing staff on general medical units typically track respiration rate and other vital signs every four hours, which Overdyk said is not enough. There should be a way to monitor levels continuously. Additionally, it can be hard to tell if a person's breathing rate is dangerously low in certain circumstances. "It can be difficult to monitor for respiratory depression, especially when a patient is sleeping," he said. Amanda's carbon dioxide levels, the Abbiehls said, were not monitored. The number of reported deaths linked to the pumps, according to experts, is due in part to their increased use. "The proportion of patients on PCA has increased," said Weinger. "It gives more consistent and effective pain control, but many patients suffer from respiratory depression." But Dr. Mark Schlesinger, chair of anesthesiology at Hackensack University Medical Center, said that PCA pumps are a safe way to relieve different types of pain, including pain after surgery and cancer-related pain. The problem, he said, is less a result of inadequate monitoring and more a result of medical errors. "If things go wrong, it could be due to errors, such as loading the pump with the wrong concentration of drug, programming the pump incorrectly or even incorrect prescribing." He said he is not aware of many deaths linked to PCA pumps. Newer pumps are safer, he said, and many are designed in ways that prevent administration of an incorrect dose. He agreed that continuous oxygen level monitoring could add an additional layer of safety. "It's always a great thing for patients who could have respiratory depression to have pulse oximetry to monitor oxygen concentration in the blood," he said. And there will be signals if a patient is in trouble. "There are telltale signs of a patient who is overnarcotized," said Overdyk. "There will be sleepiness, grogginess, snoring if the patient is sleeping and the patient may startle awake." The Abbiehls encourage patients and their families to ask how the pumps work and what sort of monitoring is taking place. Amanda's death was entirely preventable, they said, and they want to spare other families the grief they felt. "Maybe if she had been on a monitor, she would still be here with us today," Brian said.